From Proto-Modernisation to Modernisation of Croatia’s School System. Vol. I.-III. As part of the project research team members are preparing three volumes of selected sources on the history of Croatia’s school system. The volumes will comprise selected and critically analysed material for which it has been estimated, based on a comprehensive archival research, that it presents the documents that were of crucial importance for the development of Croatia’s school system as well as documents reflecting realistic potential for the implementation of legislative and normative acts. All the sources will be analysed on an interdisciplinary level in a comprehensive introductory analysis and equipped with a scholarly apparatus. Modernisation of the school system as a state system cannot be explained without being aware of the school reforms that were in place at the level of the entire Monarchy, since almost all reform measures in Croatia were more or less modified copies of the reform measures introduced in the centre of the Monarchy. For this reason, this volume will comprise major legislative acts that provided a legal foundation for shaping the school system (inter alia, Ratio educationis, which has never been translated from Latin into Croatian) with a comparative analysis of the school system in the Monarchy and a comparison with Austrian and Hungarian school legislation. In the history of education and schooling, the eighteenth and the nineteenth centuries represent an era deeply marked by the growing awareness of the necessity of education for all citizens. Encouraged by the ideas of the Enlightenment, eighteenth-century rulers made the education a politicum – a political issue – and an important task of developing proto-modern state administration, marginalising the influence of the (Catholic) Church and religious orders on school system. In the Habsburg Monarchy, and consequently in Croatian lands under the Habsburg rule, that process resulted in intensive educational reforms that gradually, until the second half of the nineteenth century, transformed the schooling into a modern, state controlled school system as we know it today. During that period, education became available and compulsory for all citizens, regardless of their social status or financial means. The mechanisms developed within the structures of state administration led to the specialisation of the school administration, and the ruler, or (proto)modern state, took a leading role in education issues. These included school legislation, approving and proscribing textbooks, unification of school systems in the provinces, creating and standardising the curricula, appointing teachers and professors, as well as performing a strict control of all educational institutions and processes. This book addresses that transition through fundamental legislative acts on school system in Croatian lands under the Habsburg rule – the Kingdoms of Croatia and Slavonia, as part of the Kingdom of Hungary within the Habsburg Monarchy, the Military Frontier in the Habsburg Monarchy, and, from the nineteenth century on, Dalmatia, Istria and Dubrovnik (Ragusa). 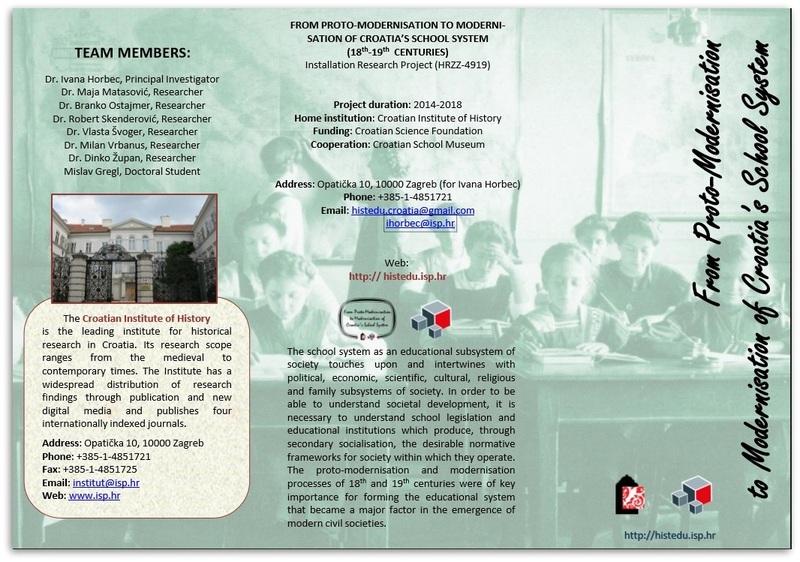 We believe we have selected the most important acts to present the legislative framework of the formation of (proto)modern school system in the eighteenth and the nineteenth centuries. German or Latin legislative acts are translated into Croatian (some of them for the first time), while originally Croatian documents, or those already translated into Croatian, were transcribed. We provided the commentary for all the legislative acts. The first of the legal documents in collection is the General School Order for the German Normal, Major and Trivial Schools from December 6, 1774 (Germ. Die Allgemeine Schulordnung für die deutschen Normal-, Haupt- und Trivialschulen; Croat. Opći školski red za njemačke normalne, glavne i trivijalne škole), as the fundamental law that established the state-controlled school system in the Habsburg Monarchy. It was introduced only in Austrian and Bohemian Lands of the Monarchy and, among the Croatian lands, in the Military Frontier. The law set the basic principles of education, as well as its social and political role, and established the foundations of future state / public school system. Same principles were soon thereafter introduced in the Hungarian part of the Monarchy comprising the Kingdom of Croatia-Slavonia. For that purpose, the System of Education and Entire Schooling for the Kingdom of Hungary and its Associated Countries was issued on August 2, 1777 (Lat. Ratio educationis totiusque rei literariae per Regnum Hungariae et provincias eidem adnexas; Croat. Sustav obrazovanja i cjelokupnog školstva za Ugarsko Kraljevstvo i njemu pridružene zemlje). Due to the size of the document and frequent repetition of the content, we present this legislative act in a summarized version. Supplements of these laws reveal further changes in the structure of the primary education of the Habsburg Monarchy, whose educational reforms were since the early nineteenth century carried out in the newly acquired provinces of the eastern Adriatic coast as well – former Venetian provinces of Istria and Dalmatia and the Republic of Dubrovnik. Political Constitution of German Schools (Germ. Politische Verfassung der deutschen Schulen; Croat. Politički ustroj njemačkih škola), was a collection of regulations of school system dated from 1806 to 1869 that was in force in Austrian and Bohemian Lands, as well as in the Military Frontier and Austrian Littoral and Dalmatia. For the Kingdom of Hungary, a supplement of Ratio educationis was issued in 1806, System of the Entire Public Education for the Kingdom of Hungary and its Associated Countries (Lat. Ratio educationis publicae totiusque rei literariae per Regnum Hungariae et provincias eidem adnexas). Changes that both of the mentioned law supplements adopted in relation to the earlier provisions have been analysed in the introductory text. 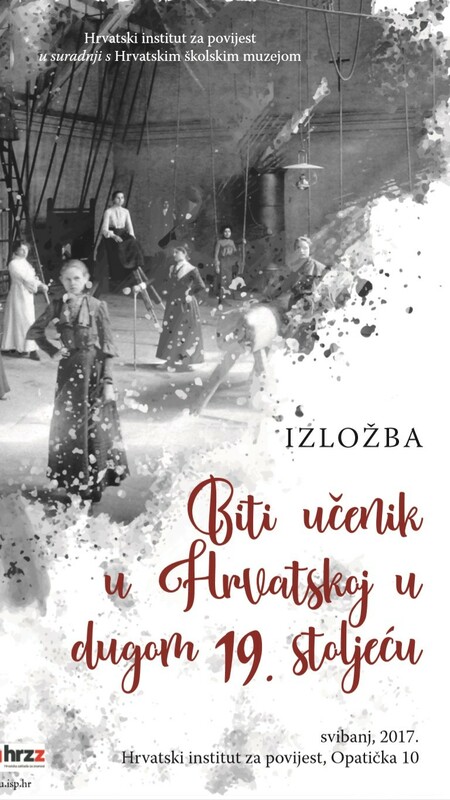 The next important legislative act presented in this volume, in a commented translation of A. Cuvaj, is the System of primary schools in Hungary (Lat. Systema scholarum elementarium; Croat. Sustav početnih škola u Ugarskoj). This law, issued on July 16, 1845, rearranged a system of primary schools in the Kingdoms of Croatia and Slavonia according to the new principles of schooling. Following the revolution of 1848 and the emergence of new liberal political and social ideas, the Draft of the Basic Principles in public education in Austria of 1848 (Germ. Entwurf der Grundzüge des öffentlichen Unterrichtswesens in Österreich; Croat. Nacrt temeljnih načela javne nastave u Austriji) prompted the reorganisation of entire public education and brought the principal guidelines of modernising the school system in all provinces of the Habsburg Monarchy. In 1849, based on the principles set out in the Draft, the secondary schools in Austria – Gymnasia and Realschulen – were reformed. As the most important act of this reform we present, in the translation from German, the Draft of the Organisation of Gymnasia and Realschulen (Germ. Entwurf der Organisation der Gymnasien und Realschulen; Croat. Nacrt ustroja gimnazija i realnih škola u Austriji) from 1849, divided in two parts that relate to the type of the secondary school. From the second half of the nineteenth century, we present, in a commented transcript, a number of legislative acts originally written in Croatian or previously translated from Latin or German. First of these is The Law of May 14, 1869 that Regulates the Principles of Primary Education (Croat. Zakon od 14. svibnja 1869. kojim se ustanovljuju načela nastave za pučke škole, supplemented on May 2, 1883), that established the principles of teaching in primary schools. This act reformed the primary education after the Austro-Hungarian Compromise of 1867 and was, among Croatian lands, introduced in Dalmatia and Istria. New principles of the primary education were customized according to the circumstances in the Military Frontier and introduced in 1871 by the Provision on the Teaching in Public Schools (Croat. Propis o nastavi pučkih učionah). These laws, along with the Hungarian Law on the issues of primary education of 1868, influenced the Law of October 14, 1874 on the Organisation of Primary Schools and Teacher Training Courses in the Kingdoms of Croatia and Slavonia (Croat. 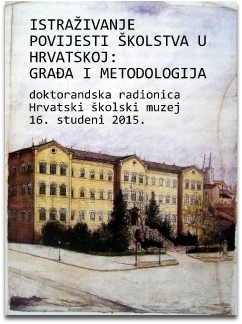 Zakon od 14. listopada 1874. ob ustroju pučkih škola i preparandijah za pučko učiteljstvo u kraljevinah Hrvatskoj i Slavoniji), which is considered to be the basic law defining the legal framework of modern education in Croatia. It represented the customised and somewhat more liberal version of the provisions already issued for Austria, Hungary and the Military Frontier. The University of Zagreb, as the central institution of higher learning in the nineteenth-century Croatian lands, was legally regulated by the Croatian Parliament, with the Legal act of the Parliament of the Kingdoms of Dalmatia, Croatia and Slavonia from the January 5, 1874, on the Organisation of the University ‘Franz Joseph’ in Zagreb (Croat. Zakonski članak sabora kraljevinah Dalmacije, Hrvatske i Slavonije od 5. siečnja 1874., ob ustrojstvu sveučilišta Franje Josipa I. u Zagrebu). 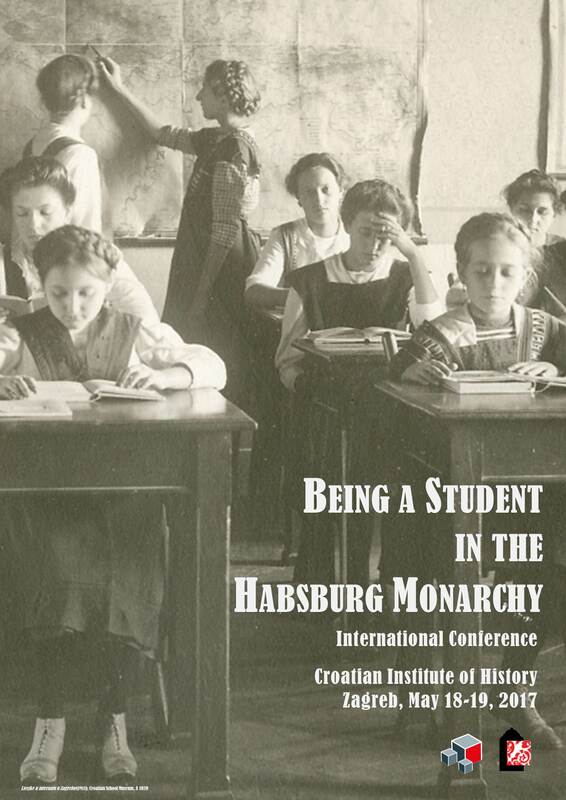 It laid down the basic principles of the organisation of academic teaching at the University of Zagreb and defined the obligations and rights of teachers and students in a manner similar to all universities of the Habsburg Monarchy, already reformed in 1850s. Finally, following the reunion of the Military Frontier with the Kingdom of Croatia and Slavonia, the new law on primary education was issued in 1888: The Law of October 31, 1888, on the Organisation of Primary Education and the Training of Teachers in Primary Schools in the Kingdoms of Croatia and Slavonia (Croat. Zakon od 31. listopada 1888. ob ustroju pučke nastave i obrazovanja pučkih učitelja u kraljevinah Hrvatskoj i Slavoniji), which is also represented here in a commented transcript. Legislative acts collected in this volume formed a framework for the modernisation and development of Croatia’s school system in the eighteenth and the nineteenth centuries on all levels of education – from the primary schools to the institutions of higher learning. They were an integrative part of the state making processes, contributing to the secularisation of the state and the society. The school system and its reform was a frequent topic of discussions in the 18th and 19th centuries. 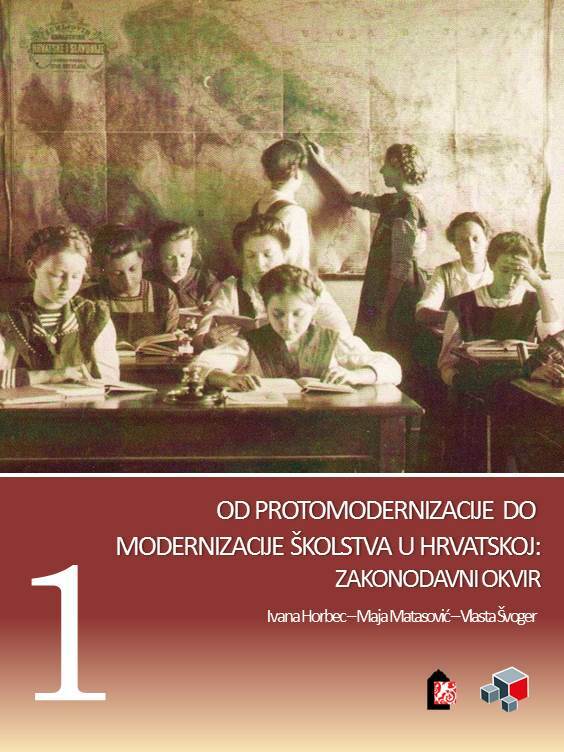 This volume will comprise conceptual proposals for school reforms that were not implemented and presented as an important incentive for reform measures in Croatia-Slavonia. The material is selected on the basis of researches in Croatian State Archives in Zagreb and Hungarian State Archives in Budapest. Case-study research is planned when preparing this volume. In addition to selecting a certain number of educational institutions differing in type, category and location, the volume will, based on preserved reports and memorial books of individual educational institutions, analyse “a look from below” on the legislative and institutional framework of the school system as well as on realistic chances for implementing individual legislative solutions.